The following Terms and Conditions govern your use of this web site. BY USING THE WEBSITE YOU ACKNOWLEDGE THAT YOU ACCEPT AND AGREE TO THE TERMS AND CONDITIONS OF BIZWORLDUSA LLC (BWU). 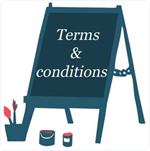 If you do not agree to these terms and conditions please do not use this website. BIZWORLDUSA (BWU) is operated by BIZWORLDUSA LLC. Bizworldusa LLC has registered under and is governed by the Laws of the State of California. If you have any question of company existence or have a question on the legal entity please contact the California Secretary of State at 1500, 11th Street Sacramento, California 95814, 916-653-6814 or you can visit their website i.e. http://www.sos.ca.gov/. BIZWORLDUSA LLC (BWU)’s founders, investors, employees, associates and other related entities may have active real estate licenses, business broker licenses, escrow offers, escrow companies, attorney licenses, legal firms, mortgage broker licenses, bankers, merchant processing services, manufacturing companies, appraisers and other professional activities. You may see their business operations which MAY cause a question of conflict of interest. It is SOLELY your responsibility to understand any risk that may be incurred while using this website. The User acknowledges, agrees, and understands risks and conflicts that may be present while using this website. If you do agree, do not use the website. By using this portal “ YOU OR YOUR”, either individual or group or entity have agreed and approved that this is “An Agreement”, and it is between “YOU OR YOUR” either individuals or group or entity and “US” which means BIZWORLDUSA (BWU) which is owned and operated by BIZWORLDUSA LLC. By using this web portal you are also further acknowledge, approve and agree that you are bound to the policies set by BIZWORLDUSA (BWU) which is owned and operated by BIZWORLDUSA LLC. If any part of content, material, text or any other information posted by Users (Either Free User or Paid User) is abusive, unsolicited or a violation or endangerment to the public life health and safety, BIZWORLDUSA (BWU) reserves a right to Block, Reject, Edit or Delete the User posted material without any further NOTICE. Meaning: Throughout the site or other sites, we use the terms “WE”, “US” and “OUR” and that refers the BIZWORLDUSA (BWU). All Users have to accept BIZWORLDUSA’s (BWU) Terms and Conditions before using the portal; if you don’t accept these Terms and Conditions please do not use the website. Rights: This agreement is between “YOU” and BIZWORLDUSA (BWU) which is owned by BIZWORLDUSA LLC (BWU) which owns, solely and exclusively, all rights, title, and interest of the website i.e. all the content such as comments, illustrations, pictures, graphics, text, files, captions, photographs, titles, visual, audio clips, video clips, designs, content, data material, and the look and feel of the website including but not limited to any copy right, trade mark rights, patent right, data base rights, moral right and any other intellectual properties and proprietary rights therein. Limitation: User can view and access the content and material on the website on their device, unless other wise indicated in these terms and conditions or on the website. Such limitation also varies from User to User, by geographic location and also from sub domain to sub domain which will be defined by BIZWORLDUSA (BWU). A potential User can print a copy of the content for personal use only. Any part of the content or material cannot be used as for commercial purposes without consent and written approval by the company. Registration: BIZWORLDUSA (BWU) reserves a right to allow, refuse, cancel or limit any User from registering with the Bizworldusa.com website. All Users have to be approved and qualified by BIZWORLDUSA (BWU) before beginning to use this web portal. BIZWORLDUSA (BWU) has several other sub domains, and in order to use sub domain services, functions and other usages, User MUST HAVE a separate registration and validation for each sub domain. Prohibitions: Any commercial, promotional or any other use or distribution, transmission, modification, publication, broadcasting, uploading, reverse engineering, incensing, claiming, transferring, selling, reproducing, caching, aggregating, creation by using the content or material or code or data or any thing pertaining on the site, to the site, and from the site, is strictly prohibited unless you have written approval and permission from BIZWORLDUSA (BWU). You must further agree that you may not alter, delete, edit, remove, or attempt to change the meaning of content, code, logo, trade marks, and trade names, or any other information directly and indirectly displayed on the web by BIZWORLDUSA (BWU). You must also further understand and acknowledge that you DO NOT acquire any ownership by down loading the contents, graphics, pictures, audio clips, and video clips from the site. Intellectual Property Rights (Posted by BIZWORLDUSA (BWU) ): All Trade Marks, Logos, Captions, Names, Materials, Pictures, Audio Clips, Video Clips, and all other content displayed on Bizworldusa.com which was POSTED BY BIZWORLDUSA (BWU) are the exclusive property of a BIZWORLDUSA (BWU). Intellectual Property Rights (Posted by Third Parties) : Trade Marks, Logos, Captions, names, materials, and content displayed on the BIZWORLDUSA (BWU) website, which were POSTED BY THIRD PARTIES may not be used for any purposes with out prior approval and prior approval of the third party owner; all postings are the property of the third party owners. BIZWORLDUSA (BWU) is not responsible if such a third party owner finds that its property was infringed or misused by a User. Users (Definition): An individual, entity, group or an organization that uses the portal for any reason, for example to read, review, advertise, market services, or to review the services available from the advertisers etc. General User /Free User (Definition): “General User” may be a Single User, Group or Entity who is / are using the portal to read, review or are interested in receiving offerings and services from the advertisers. General User functionality is much more limited than the usage available to paid Users. A General User is not paying any fee for the use of the portal, However, a General User accepts, agrees, and acknowledges that the General User will abide with all the terms and conditions that are set and posted by a BIZWORLDUSA (BWU). Paid User (Definition): “Paid User” may be a Single User, Group or Entity who is /are using the portal to list a business for sale, market their services, or to advertise their services to the public etc. And such Paid User can be designated as an “Advertiser”. The Paid User is / are paying the fee for the use of this portal, however such fee will vary from User to User, and location to location, depending on the functionality and service level chosen by the User. Paid Users can access that selected level only. However, if a Paid User is interested in increasing their level of services, they can upgrade on the functionality or the status at any time by paying an extra / additional fee. A Paid User cannot down grade the current level of services or functionality until the current subscription expires. Further, the paid User can edit or modify the advertised content such as phone, contact email, change of address, license number, offering times, conditions, coupons, timings, images, photos, audio clips, video clips, personal date or business date and also can choose what information to make public. By using this portal all Paid Users accept, acknowledge, and approve the terms and conditions which are set and posted by BIZWORLDUSA (BWU). Territory: BIZWORLDUSA (BWU) portal is intended to use in the United States of America. However it is SOLELY the responsibility of the User to check the availability and accessibility of the portal. Age Restriction: If you are under 14 years of age, then please do not use or access the website at any time or in any manner, and do submit any information to the website. User Information: When you visit BIZWORLDUSA (BWU) we may collect User information; such information actively given by you to “US” is called Active Information (AI) or also if given to “Third Parties” who is / are using our products or web services to whom you may have given consent, approval, such consent and approval may be in writing, verbal, electronic, email, I-mail, visual or bio metric methods. That active information may contain your name, address, internet protocol address, system address or any other information without further limitation given by YOU to US or to Third Parties you contact. All such active information we may collect is named as PERSONAL IDENTIFIABLE INFORMATION (PII). Some information will be collected in a way that may not visible to you in an aggregate anonymous basis-collectively named Passive Information (PI). We are collecting both Active Information and Passive Information from the BIZWORLDUSA (BWU) web site. BIZWORLDUSA (BWU) reserves the right to share some or all of such information for an unlimited time with holding companies, investment companies, associated companies and their websites / business and we may share some or all of the active information with THIRD PARTIES. Cookie (From Bizworldusa (BWU): Irrespective of the Active Information we collect, passive information of the User is NEVER SHARED WITH THIRD PARTIES. Collection of passive information is for internal – external monitoring of the website usage, functionality, analytical, safety, and security. Cookies are small pieces of the data stored in the User’s web that allow the web server to recognize the computer used for access. Cookie (from Third Party): Some of the third party advertisements “MAY” contain cookies, which “MAY” collect your passive information. BIZWORLDUSA (BWU) is “NOT” responsible for such collection of information. It’s SOLELY User’s responsibility and risk to use their advertisements or services. Sharing Information with Government: BIZWORLDUSA (BWU) will share with or disclose Active and Passive Information to Government, Government Organizations or Governmental Agencies for reasons of Safety, Security and Public Health. However, we will share or release / disclose such information to the Government or Governmental Agencies only if the Government or Governmental Agency has sent a special request to “US” i.e. BIZWORLDUSA (BWU). However, BIZWORLDUSA (BWU) is not obligated to accept such requests or to release the information. It is the sole discretion of BIZWORLDUSA (BWU) to decide what to release, where to release and when to release. In simple, BIZWORLDUSA (BWU) retains the exclusive right to decide the procedure for release and whether or not to release information. Forums: Regarding the “Forum Service” of BIZWORLDUSA (BWU), i.e. “forums.bizworldusa.com”- if there is any information, comments or suggestions posted by “User” that you feel are unlawful, fraudulent, a danger to the Public Life Safety and Health etc., please notify the User directly and also notify “US” immediately. BIZWORLDUSA (BWU), DOES NOT APPROVE OR DISAPPROVE THE CONTENT OF ANY OF THOSE OPINIONS AND COMMENTS. ALL FORUMS AND COMMENTS HAVE TO BE APPROVED BY BIZWORLDUSA (BWU), BEFORE BEING MADE AVAILABLE TO THE PUBLIC. BIZWORLDUSA (BWU) RESERVES A RIGHT TO APPROVE / DISAPPROVE / MODIFY/ EDIT / REJECT TOTALLY OR PARTIALLY OR BOTH OF THE POSTED / SUBMITTED FORUMS, DISCUSSIONS AND COMMENTS WITHOUT FURTHER NOTICE. Blogs: Regarding the “Blog Service” BIZWORLDUSA (BWU), i.e. “blogs.bizworldusa.com”- it there is any information, articles, comments, opinions, or experience posted by the authors or contributors that you feel is unlawful, fraudulent, or a danger to the Public Life Safety and Health etc., please notify the “User” directly and also notify “US” immediately. BIZWORLDUSA (BWU) DOES NOT APPROVE OR DISAPPROVE OF ANY OF THOSE POSTED BLOGS / ARTICLES, OPINIONS AND COMMENTS. Further all persons and entities who are posting the Blog / Article must send a copy of the ownership /submit an affidavit stating that you are the owner or creator of the article or blog and you may also be required to sign and submit an indemnity agreement. ALL BLOGS HAVE TO BE APPROVED BY BIZWORLDUSA (BWU), BEFORE BEING MADE AVAILABLE TO THE PUBLIC. BIZWORLDUSA (BWU) RESERVES THE RIGHT TO APPROVE / DISAPPROVE / MODIFY/ REJECT TOTALLY OR PARTIALLY OR BOTH OF THE POSTED / SUBMITTED ARTICLES / BLOGS / COMMENTS / DISCUSSIONS WITHOUT FURTHER NOTICE. Any person or entity using BIZWORLDUSA (BWU) as a platform to post Articles / Blogs / Forums acknowledges, agrees, and approves that you are giving an irrevocable consent and approval to BIZWORLDUSA (BWU) to use such material or the content without further notice. Further you acknowledge, agree and approve that you are giving an irrevocable consent and approval to sharing the “OWNERSHIP” of such article or blog or thread or content with BIZWORLDUSA (BWU). YOU further acknowledge, agree and approve that you are giving an irrevocable consent and approval to BIZWORLDUSA (BWU) to change /alter / modify / clone / reproduce either partially or totally the blog / article / forum / content / opinion at any time without further notice. Damages / Loss: BIZWORLDUSA (BWU) is NOT responsible for any kind of loss or damages incurred by the User while using the portal or by using third party services. It is the SOLELY User’s responsibility to verify the chances of damage or loss at the beginning of usage of the portal and third party services. Further, BIZWORLDUSA (BWU) strongly recommends that all Users consult s relevant professionals for their advice prior to using the portal or third party services. Accuracy: (posted by the Third Parties). BIZWORLDUSA (BWU) is NOT responsible for any information made available on this website which was posted by a THIRD PARTY for its accuracy, truthfulness, completeness or current relevance. BIZWORLDUSA (BWU) has not verified or certified such information, content or text. We strongly recommend that all Users consult a respected professional for advice on whether or not to use such advertised materials or services. Any reliance on the material is SOLELY at your own risk. Accuracy: (posted by BIZWORLDUSA (BWU). BWU is not guaranteeing or warranting the correctness, truthfulness, or completeness of any information made available on this website which was posted by BIZWORLDUSA (BWU) and Its Associates. We have obtained this information from professionals and such information may or may not be correct for your situation. It is just free opinions or comments from some experts. We strongly recommend that the USER consult a respected professional for advice on the advisability of using the material posted by BIZWORLDUSA (BWU). Any reliance on the material is SOLELY at our own risk. BIZWORLDUSA (BWU) AND ITS ASSOCIATE COMPANIES ARE FREE FROM ANY KIND OF LIABILITY ARISING FROM THE USAGE OF SUCH MATERIALS. THE USER IS SOLELY RESPONSIBILITY FOR ALL RISKS AND DAMAGES RESULTING FROM THE USE OF THESE MATERIALS. Business Syndication: Currently BIZWORLDUSA (BWU), is not participating in any kind of Business Syndication with third party sites with the exception of BIZWORLDUSA (BWU) investors company and their subsidiaries only i.e. BIZWORLDUSA (BWU), shares with BIZWORLDUSA (BWU) holding company and its subsidiaries only. However if we elect to participate in Business Syndication, we will notify the Users 30 days before such a participation. Your “MUST” check email periodically for all such changes. Materials You Posted (Free Posting): BIZWORLDUSA (BWU), reserve a right to refuse, reject, edit or delete any material posted by you on this website. All the posted content, photos, audio clips, video clips and other material posted or uploaded by you has to be approved by BIZWORLDUSA (BWU). Further, BIZWORLDUSA (BWU), reserves a rights to use, reproduce, edit, modify, adopt, translate, create, transfer, and broadcast the ideas and comments posted by all Users at any time. By posting on the website you are voluntarily giving exclusive and irrevocable rights of ownership of that material to BIZWORLDUSA (BWU) AND ITS HOLDING COMPANY. Materials You Posted (ADVERTISEMENTS): BIZWORLDUSA (BWU) reserves a right to refuse, reject, edit or delete any material posted by you or your authorized person on the website. BIZWORLDUSA (BWU) does not guaranty the approval of your posted advertisement material. All the posted material or advertisements or edits of existing active advertisements have to be approved by the BIZWORLDUSA (BWU). BIZWORLDUSA (BWU) further reserves a right to cancel or delete your advertisement at any time before expiration of the subscriptions. BIZWORLDUSA (BWU) reserves a right to reject, to use, reproduce, edit, modify, adopt, translate, create, transfer, and broadcast the ideas, comments posted by all Users at any time. By posting on the website you are voluntarily giving exclusive and irrevocable rights of ownership of that material to BIZWORLDUSA (BWU) AND ITS HOLDING COMPANY. Photo / Logo Policy: BIZWORLDUSA (BWU) allows certain Users to upload some pictures and logs which will vary from service to service and person to person. We allow certain formats with certain file size only. User MUST upload/ edit / the pictures and logs as per the said format and allowable file size only. All uploaded graphics or photos or logos MUST be approved by BIZWORLDUSA (BWU). We can not guaranty approval, and the User must send an email request for approval to BIZWORLDUSA (BWU) before uploading the files. BIZWORLDUSA (BWU) reserves a right to accept, edit or delete your uploaded pictures and logos without further notice. Audio Clips Policy: BIZWORLDUSA (BWU) allows certain Users to upload some of Audio Clips which will vary from service to service and person to person. We allow certain formats with certain file size only. User MUST upload/ edit / the Audio Clips as per the said format and allowable file size only. All uploaded AUDIO CLIPS MUST be approved by BIZWORLDUSA (BWU). We cannot guaranty such approval, and User must send an email request for review and approval to BIZWORLDUSA (BWU) before uploading the files. BIZWORLDUSA (BWU) reserves a right to accept, edit or delete your uploaded AUDIO CLIPS without further notice. Video Clips Policy: BIZWORLDUSA (BWU) allows certain Users to upload some of Video Clips which will vary from service to service and person to person. We allow certain formats with certain file size only. User MUST upload/ edit / the Video Clips as per the said format and allowable file size only. All uploaded VIDEO CLIPS MUST be approved by BIZWORLDUSA (BWU). We cannot guaranty such approval, and User must send an email request for review and approval to BIZWORLDUSA (BWU) before uploading the files. BIZWORLDUSA (BWU) reserves a right to accept, edit or delete your uploaded VIDEO CLIPS without further notice. File Attachment Policy: BIZWORLDUSA (BWU) allows certain Users to upload some files such as sales brochures, non disclosure agreements, security agreements, and confidential agreements, etc. Such file uploads facility will vary from service to service and person to person. We allow certain formats with certain file size only. User MUST upload/ edit / the files as per the said format and allowable file size only. All uploaded FILES MUST be approved by BIZWORLDUSA (BWU). We cannot guaranty such approval, and User must send an email request for review and approval to BIZWORLDUSA (BWU) before uploading the files. BIZWORLDUSA (BWU) reserves a right to accept, edit or delete your uploaded FILES without further notice. Trial Period Offers: BIZWORLDUSA (BWU) will offer / send some promotional or marketing limited time of FREE SERVICES or some other Trial period offers. Unless we notify you otherwise and you are participating in any Trial period offers, you must cancel those services by the end of the Trial period to avoid the incurring of charges. If you do not cancel your services, those free services will automatically be converted into a paid subscription at the end of the Trail period, and you authorize us to charge for the services. Monitor Control: BIZWORLDUSA (BWU) reserves a right to monitor, but is not obligated to monitor all materials posted on BIZWORLDUSA (BWU). Limitation of Content: BIZWORLDUSA (BWU) sets some limitations for the Content, Images, Photos, Audio Clips, and Video Clips. User MUST follow the limitations. It is SOLELY the User’s responsibility to check the size or format or limit or all before any uploading. Technical Compatibility: To use BIZWORLDUSA (BWU) effectively you may need to check your Configurations / System requirements. It is SOLELY the User’s responsibility to verify / check the system compatibility before using the BIZWORLDUSA (BWU) web portal services. Third Party Site: You may be able to link to third party websites from the Bizworldusa website and third party websites may link to the Bizworldusa website. You agree, approve and acknowledge that we do not have any responsibility for the accuracy, codes, guarantees, safety, products, services or for any kind of material that third party websites may provide. Third Party Rights: We respect the copyrights and intellectual properties of the third parties who have posted services ect., or made available through our website. If you feel, see, or believe that any of your work has been duplicated or copied, please notify to us with the following requested information at info@Bizworldusa.com. A good faith statement that you believe that the disputed use is not authorized by the copyright owner (or its agent) or the law. A good faith statement from you made under penalty of perjury, that the above information in your Notice is accurate and that you are the copyright owner or authorized to act on behalf of the copyright owner. NOTE: By submitting a notice of alleged copyright infringement you are granting permission to BIZWORLDUSA (BWU) to share your name and contact information with the User who posted the allegedly infringing material. Make Home Page: If you want to keep BIZWORLDUSA (BWU) as your home page, it is SOLELY your responsibility if any damages result from its use as a home page. Email from Website: BIZWORLDUSA (BWU) is offering an email method for contacting an advertiser for further information from the website. The User MUST understand that we are tracking your IP address and Mac or System address for all such exchanges and some or all of such information will be shared with the advertiser. By using this website the User agrees and acknowledges, approves and gives irrevocable consent to BIZWORLDUSA (BWU) to collect and share the collected information. E Mail Limitation: BIZWORLDUSA (BWU) is allowing the USER to a send a limited number of emails per User to contact the advertiser from the website, and such a limitation varies from person to person and service to service and location to location. By using this website User agrees, accepts, acknowledges, approves and gives irrevocable consent to BIZWORLDUSA (BWU) that the USER will follow the limitation policy. Mass / Bulk Mailing: BIZWORLDUSA (BWU) is offering Special Marketing Service such as Mass Email Service / Bulk Email Service for selected Users, and BIZWORLDUSA (BWU) will collects a separate fee for the Special Marketing Service i.e. Mass Email Service / Bulk Email Service usage. Mass Email Service / Bulk Email Service are NOT A RIGHT and is available to selected Users only, and BIZWORLDUSA (BWU) reserves a right to approve or disapprove of any User request and duration of the service. Sometimes search engines will place your email id in a block or spam folder for the excessive usage of the emails, and it is the User’s responsibility to contact your email service provider for their usage policy. By using this Mass Mailing Service / Bulk Email Service, the User agrees, accepts, acknowledges, approves and gives an irrevocable consent to BIZWORLDUSA (BWU) that the User will follow the rules of this Mass / Bulk Mailing policy. IMS Mailing: BIZWORLDUSA (BWU) is offering Special Marketing Service such as IMS i.e. Internal Mail Service for the selected Users, and BIZWORLDUSA (BWU) will collects a separate fee for the Special Marketing Service of IMS usage. IMS is NOT A RIGHT and is available for selected Users only, and BIZWORLDUSA (BWU) reserves a right to approve or disapprove of any User request and duration of the service. By using this IMS service User agrees, accepts, acknowledges, approves and giving an irrevocable consent to the BIZWORLDUSA (BWU) that the User will follow the rules of the IMS policy. Attachment Policy: BIZWORLDUSA (BWU) is offering Marketing Material Distribution Or Brochures Distribution or Flyer distribution by using E-mail / I-mail method besides allowing the User to write marketing letters or messages, and BIZWORLDUSA (BWU) will collects a separate fee for the Marketing Material distribution, Brochures Distribution or Flyer distribution. Flyer Marketing Material Distribution is NOT A RIGHT, i.e. it is available for selected Users only, and BIZWORLDUSA (BWU) reserves a right to approve or disapprove of any User request and duration of the service. By using this service User agrees, accepts, acknowledges, approves and gives an irrevocable consent to the BIZWORLDUSA (BWU) that the User will follow the rules of the IMS policy. Material Policy: Any flyer or marketing material content has to promote the company services only. All the content and material must be generic. Posting pornographic materials or other abuses of marketing services is TOTALLY PROHIBITED. Further BIZWORLDUSA (BWU) allows only limited size for text material and a limited amount of attachments and format. Material Marketing or Flyer Marketing service is not a RIGHT and is available for selected Users only, and BIZWORLDUSA (BWU) reserves a right to approve or disapprove of any User request and duration of the service. Further BIZWORLDUSA (BWU) reserves a right to review any material promotions and exchanges for violations by User and BIZWORLDUSA (BWU) may lower the service, block the service and/or terminate the service without further notice. By using this service User agrees, accepts, acknowledges, approves and gives an irrevocable consent to BIZWORLDUSA (BWU) that the User will follow the rules of the Material Policy. TEXTING Policy: BIZWORLDUSA (BWU) is offering Special Marketing Service such as Texting Service i.e. to send text messages from the website for selected Users, and BIZWORLDUSA (BWU) will collect a separate fee for the Special Marketing Service for the Text service usage. The Texting service function availability varies from location to location and User to User. Texting service is not a RIGHT and is available for selected Users only, and BIZWORLDUSA (BWU) reserves a right approve or disapprove of any User request and duration of the service. By using this Texting service User agrees, accepts, acknowledges, approves and gives an irrevocable consent to BIZWORLDUSA (BWU) that the User will follow the rules of the Texting policy. English Language Policy: BIZWORLDUSA (BWU) website is primarily built in English, however, the developers, content writers, advisers, employees, associates and other professionals hailed or migrated from different parts of the world where their primary language or mother tongue may not be English. Their English language may not be up to the standards of Users who speak English as a first language. If your find any of the content, syllables, synonyms, or meanings unclear, please do not use this website. It is purely and SOLELY up to the User to determine if there is a risk from using BIZWORLDUSA (BWU). If any of words, contents, graphics or any other information violates your area language, User can notify BIZWORLDUSA (BWU); we will try to make corrections as soon as possible, but we do NOT guaranty that we will make such corrections. Further all such correcting has to be approved by our Legal Department, and if our Legal Department denies your recommendations, we will not implement your requests and suggestions. BIZWORLDUSA (BWU) reserves a right to approve or disapprove any User recommendations, corrections and suggestions. If you do not agree with this policy please do not use the website. Language Convertor Policy: BIZWORLDUSA (BWU) offers FREE web services to the User (for both free Users and paid Users) to “READ” in selected languages (such list of languages vary from time to time) based on the availability on BIZWORLDUSA website. We hired several professionals and use other internet tools to convert the content from English to other selected languages and we try to provide the best translation. BIZWORLDUSA (BWU) is not giving any Guaranty or Warranty that the converted material or content has the correct meaning. If any of content, syllable, synonyms, meanings etc. of the converted content is not correct or accurate, please do not use this feature on our website. It is purely and SOLELY User’s choice to accept the risk by using BIZWORLDUSA (BWU)’s language conversion. If such converted content has a different meaning then that converted language, please notify us by email with your concerns and suggestions. Our legal department or other professionals will review your comments and try to implement your corrections but we NEVER guaranty that such corrections and suggestions will be implemented. BIZWORLDUSA (BWU) reserves a right to approve or disapprove any User recommendations, corrections and suggestions. If you do not agree with this policy please do not use the website. DATA Policy: BIZWORLDUSA (BWU) will keep all data available for a Maximum 90 day period only. After expiration of the selected duration (maximum 90 days), the advertisement will be removed. If any User wants to save, transfer or down load the data, the User has to do so before 90 days elapse. If any User wants to retrieve a copy of the posted data after the 90 day period, the User must send a special request to BIZWORLDUSA (BWU): BIZWORLDUSA (BWU) will charge a special fee to release the requested information and BIZWORLDUSA (BWU) does not Guaranty the availability of such data. By using this website, the User agrees, accepts, acknowledges, approves and gives an irrevocable consent to BIZWORLDUSA (BWU) that the User will follow the Data policy. The Software MUST be used SOLELY for Your Personal and Non Commercial Purposes Only. You can NOT Attempt to or Authorize any third party to disable or circumvent the intended operations / works of the software or disclose any type of such methods or means to any third party. You can NOT Attempt to or Authorize any third party to reverse engineer, decompile or otherwise attempt to gain access to the software source codes etc. The software CANNOT be modified or altered in any manner without prior consent and approval. The software CANNOT be subleased, sublicensed, copied, transferred, reproduced or redistributed. To know more about these policies please send an email to info@Bizworldusa.com. BIZWORLDUSA (BWU) may be associated with or have a memorandum of understanding or partnership agreement with some of the local companies in your area. Their functionality, services, responsibility and authorization varies from location to location: if you want to know more about their role and responsibility please call your local agency or send an email to info@Bizworldusa.com. Before using this website you MUST receive the requested information, and such provided information must be approved by you before using this website. If you do not receive the requested information or are not satisfied with the information and do NOT APPROVE the terms in the provided information, DO NOT use this website. BIZWORLDUSA (BWU) hired third parties that “MAY” contact or send notices to Users via E-Mail, I-Mail, Fax, Phone or Mail to notify Users of certain services they provide to BIZWORLDUSA (BWU). However, BIZWORLDUSA (BWU) does NOT guaranty that you will receive such a communication. It is purely the responsibility of the Third party to contact you or notify you if they wish to do so. If you don’t agree with this policy, please do not use this website. Local Partners may have other products, services, and offerings in your area, and we are NOT responsible for those offerings and solicitations, and the User MUST contact the local partners directly about their products, services, and offerings. IT IS SOLELY YOUR RESPONSIBILITY TO DECIDE IF YOU WANT TO RESPOND TO THEIR OFFERINGS. BIZWORLDUSA (BWU) IS NOT RESPONSIBLE FOR ANY KIND OF LOSSES INCURRED BY USE OF SUCH SERVICES, PRODUCTS OR OFFERINGS. There are different levels of payments for Users that have different subscriptions and functionality. BIZWORLDUSA (BWU) will decide all such fee terms and functionality; BIZWORLDUSA (BWU) “MAY” hire third parties as their authorized agents to collect such fees. Their responsibility is to collect the FEE from the Users (Online or Web based). BIZWORLDUSA (BWU) collects an advance fee or payment for the services and such fee amount varies with the service required and the location depending upon the type of service / advertisements. It is SOLELY your responsibility as a USER to read and understand the fees before using BIZWORLDUSA (BWU) web services. For further information, please read the page that discusses payments, fees and advertisements. Contract Time: There is no fixed time contract to advertise or use the service; however the potential User MUST accept the MINIMUM time specified by BIZWORLDUSA (BWU). The potential User can also opt for extra duration of service if available on BIZWORLDUSA (BWU) before submitting the final payments. Minimum Subscription Period: BIZWORLDUSA (BWU) sets a minimum time frame for each service which has to be accepted before using services or advertising. The minimum time frame varies from time to time, and from service to service and it is SOLELY the User’s responsibility to know the minimum time frame for each service. User can obtain such information on the advertisement page or you can also send an email to the customer service at info@Bizworldusa.com . Number of Advertisements: User can post many advertisements; however the User or advertiser can select either single or group. 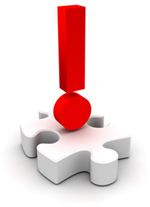 If the User opts single or group, each advertisement will be charged separately. Please read the Advertise with Us page to know more about the charges, functions and fee structure etc. Currency Charges: You will be charged according to the said / accepted currency ONLY. However you may be further charged by your financial institution or bank and such further charges may be called transaction fees, currency fees or other fees that are collected by your institution. You are SOLELY responsible for such fees incurred by you. It is SOLELY your responsibility to talk with your financial institution before making any payments to the BIZWORLDUSA (BWU). If you want to know more about currency charges please send an email to info@Bizworldusa.com. Merchant Providers: BIZWORLDUSA (BWU) hires / retains third parties websites for merchant services and for collection of payments. You may see their name in your monthly billing statement. BIZWORLDUSA’s (BWU) Payment processing institutions may change from time to time, and from location to location; the potential User has to read, understand, accept and acknowledge such changes, and further it is SOLELY the User’s responsibility to check for changes before submitting the payment. All paid Users will get an email confirmation of Payment from BIZWORLDUSA’s (BWU) Merchant Provider and/or Third Party. If you want to know more about the payment processors please send an email to billing@Bizworldusa.com. Local Tax: You may be further charged for local taxes and other taxes if applicable. You are SOLELY responsible to verify all Local Taxes and you are SOLELY responsible to pay such taxes. It is SOLELY your responsibility to verify any local and other taxes that you may need to pay before making any payments to BIZWORLDUSA (BWU). Payment Methods: BIZWORLDUSA (BWU) uses different methods of payments such as Credit Card, Debit Card, ACH payment, Pay Pal etc. However such payment methods may vary from time to time and location to location and from processor to processor. It is SOLELY the User’s responsibility to monitor the changes and updates on your payment method. Authorizations for Automatic Payments: At the time of Initial Use or after starting to use the BIZWORLDUSA (BWU) services, the User can elect to use the Automatics Payment Options (APO) for automatic renewal; use of automatic payments will avoid any BIZWORLDUSA (BWU) web service interruption. If you use automatic payments, you are authorizing us to collect the updated new amount without further notice. Update of Payment: It is SOLELY the User’s responsibility to keep the payment details up-to-date with correct information and such updated information should include card information, billing information and other information needed for the payment process. If we unable to process payment from your payment details, we regret to say that we will suspend your subscriptions and advertisements until further valid payment has been processed and approved by the Lender. Changes in the Fee (for Existing Users): BIZWORLDUSA (BWU) may change the fee for the service from time to time. All the changes of fee will be applied to the current subscribed Users who already paid a fee for certain services ONLY after expiry of the accepted time frame period. The New fee will be applied at expiry of current valid period. Notification in Change of Fee: BIZWORLDUSA (BWU) will notify all subscribers of such change in the fee policy, amount etc. at least 60 Days in advance and such notice will be sent as EMAIL ONLY. It is SOLELY the responsibility of the subscribers to read, understand and accept such changes. Email Spam: Sometime emails may go to the SPAM folder depending upon the software or anti-virus used on your computer. It is SOLELY your responsibility to check your spam folder for such emails and keep the BIZWORLDUSA (BWU) emails in to your incoming folder. Change of Service: If, at any time the User wants to change the level of Subscription from a lower level to a higher level, you will be charged for the differences at the time of the change. However, if you intend to change from a higher level to a lower level it CAN BE DONE ONLY “at the Time of Renewal”. It is SOLELY the User’s responsibility to read, understand and acknowledge this policy before using this portal service. Payment Receipt: BIZWORLDUSA (BWU) will make available a payment receipt for all paid advertisers who paid to use the services of BIZWORLDUSA (BWU) and such Payment Receipt will be available to view and print from the day of final transaction settlement. The time frame of such settlement will vary from bank to bank and location to location. Please contact your financial institution regarding their settlement policy. If you are interested to know about BIZWORLDUSA (BWU)’s settlement time frame and methods, please send an email to payments@Bizworldusa.com before using the website. Duration of Payment Receipt: In order to print a Payment Receipt, the User must login to a BIZWORLDUSA (BWU) website and go to the billing information page, and from there the User can view the receipt and print the payment receipt. BIZWORLDUSA (BWU) will keep the receipt available to view and print for 90 days (Maximum) from the first day of the transaction settlement date. Each advertisement has a separate Payment Receipt and each advertisement or paid service receipt policy will be the same as above. The USER MUST PRINT THE PAYMENT OF RECEIPT BEFORE THE 90TH DAY OF SETTLEMENT. BIZWORLDUSA (BWU) does not guaranty the availability of the Payment Receipt after the 90th day of settlement. Extended Policy of Payment Receipt: BIZWORLDUSA (BWU) will keep the Payment Receipt available to view and print for Maximum 90 days and at the end of 90th day from settlement it will be automatically be purged or deleted by the system. However, if the advertiser or User wants to receive a Payment Receipt after 90 days, the User MUST send an email request for the Payment Receipt to BIZWORLDUSA (BWU) and BIZWORLDUSA (BWU) will charge an additional fee to release such Payment Receipt. Users have to send an email to payments@Bizworldusa.com to know the fee to obtain the payment receipt after 90 days. BIZWORLDUSA (BWU) retains all rights on whether to release or not to release Payment receipts after 90 days and such release will vary from location to location and User to User and service to service. If you do not agree with this policy please DO NOT use the website. Billing Info and Card Info Policy: BIZWORLDUSA (BWU) will ask the User to provide the User’s credit card information, billing information, mailing information and other related information for each payment process. We may save some or all of the User financial information which varies from location to location and User to User. If we save any information, we will use such information for the automatic billing or billing for other BIZWORLDUSA (BWU) web service usage. Card Acceptation Policy: BIZWORLDUSA (BWU) hires third parties or merchant providers for credit card or billing services, and these providers may vary from time to time. We accept only credit cards which are accepted and approved by our current merchant providers. The User “MUST” submit the requested information and use accepted cards only. If you do not agree with this policy, please do not use the website. Subscription Package Service (SPS): BIZWORLDUSA (BWU) offers or provides a special service for selected Users which is called a Subscription Package Service (SPS). This package/ service will be varying from User to User and from location to location. BIZWORLDUSA (BWU) retains the right to accept or reject any selected User request; furthermore BIZWORLDUSA (BWU) reserves a right to continue / change / cancel the subsection package service at any time. User MUST send a special request to BIZWORLDUSA (BWU) to learn about this package and its availability in your area. BIZWORLDUSA (BWU) may use BIZWORLDUSA’s (BWU) website, Subsidiary websites or Third party websites to provide online support services to BIZWORLDUSA’s (BWU) Users and such services may vary from person to person, location to location and service to service. BIZWORLDUSA (BWU) is trying to keep available online support service on a 24/7 basis but CANNOT guaranty the availability of this service either partially or fully, and User MUST understand and approve this fact before using this service. In order to provide these functions and also to ensure better usage of the website, the Customer Service Agent (CSA) will ask for some important information and the User must release the requested information before the User will be able to obtain help from BIZWORLDUSA (BWU). We track ALL the Internet Protocols Addresses and Mac / System Addresses before initiating any online help. We try to provide online support in all locations and for all Users, but such functionality may vary from User to User and location to location. In order to provide better help, the CSA may request that the CSA be allowed to take control of your system and the CSA may also request that the CSA be allowed to change your system computer settings; such changes may vary from system to system and location to location. There is a potential risk of malfunction and viral attack after changes. The User must understand the risk of making such changes and the User must accept, approve and allow such changes if the User wants to use the online support service. User system control may sometimes allow US / OUR REPRESENTATIVE to see / view some or all of your system information including your data, and other your personal information. The User must understand the risk of data exposure and if the User does not feel comfortable with such risk, PLEASE DO NOT USE THE WEBSITE AND THE SERVICES. We consider all the information of exchange on Chat to be a Legal and Valid exchange, and User should understand that we retain this information for a Reasonable Period, and we have the right to use or share such chat exchange saved information for any kind of legal use. BIZWORLDUSA (BWU) DOES NOT RELEASE ANY CHAT INFORMATION TO ANY USER. Change of Setting. We do not reinstall or bring back any changes that may be made to your system before or after chat and it is the User’s responsibility to talk with your system technician, manufacturer or provider before approving or making changes to your system. If “WE” feel that there is any VIRUS On your system (even though you may “SAY” that is a “NOT A VIRUS”), we may stop our services until further notification. We always try to keep our systems clean and free from viruses, but if you feel that there is a possibility of a VIRUS on our systems that may cause of damage to your system, the User must stop the usage of all BIZWORLDUSA’s (BWU) services. BIZWORLDUSA(BWU) AND ITS HOLDING COMPANY IS NOT RESPONSIBLE FOR ANY KIND OF LOSS INCURRED BY USE OF ONLINE SERVICES, SYSTEM CHANGES OR A VIRUS. IT IS SOLELY YOUR RESPONSIBILITY TO VERIFY AND GET APPROVAL FROM A RESPECTED PROFESSIONAL BEFORE USING OR MAKING A CHANGE. Service Interruptions – From Bizworldusa: From time to time BIZWORLDUSA (BWU) servers will be updated / maintained and at such times the User may not be able to login or use the services. Such service interruption information will be displayed, informing the User when service will resume. Service Interruptions – From Third Parties /Associates: If for any reason there is a service interruption you will not have any access to the site. BIZWORLDUSA (BWU) does not give any kind of guaranty or warranty as to how long it will take to restore services. It is SOLELY your responsibility to check periodically for the restoration of the service. Visionary Policy: Some of the content such as Photos, Graphics, Audio Clips and Videos Clips may not be clear, and that may be due to browser incompatibility, type of operating system or band width etc. BIZWORLDUSA (BWU) does not guaranty the quality of the content, audio, or video etc. It is SOLELY your responsibility to maintain your operating system. Glaring Policy: Some of the pictures, graphics, images etc. “MAY” cause damage to your eyes due to lighting effects or other reasons based on “YOUR” Operating Systems and Configurations. It is SOLELY your responsibility to consult your medical advisers before going using the website. Technical Policy: BIZWORLDUSA (BWU) will update the portal on a timely basis; it is SOLELY the User’s responsibility to keep their system compatibility available. Hosting Policy: BIZWORLDUSA (BWU) is designed to be used in the United States Of America; however we hired third parties to provide hosting services, mailing services and other technical services. Our servers are NOT located in the United States of America and our third party services may vary from time to time. Tech support services and areas may also vary from time to time. It is SOLELY your responsibility to perform due diligence and cheek about any risk that may be incurred by using “Foreign Hosting and Technical Services” and support. If you do not agree with this Hoisting Policy, please do not use the website. Down Loading the Policy (Uploaded by BIZWORLDUSA (BWU): BIZWORLDUSA (BWU) makes available some of the documents for downloading. By down loading or printing such content you may lose your existing data or your system may crash due to system incompatibility. It is SOLELY the User’s responsibility to check the system requirements before attempting a download. Down Loading the Policy (Uploaded by Advertiser): Some of the advertisers on BIZWORLDUSA (BWU) will make available some of the documents /clips posted on BIZWORLDUSA (BWU) for down loading. By down loading or printing such content you may lose your existing data or your system may crash due to system incompatibility. It is SOLELY the User’s responsibility to check the system requirements before attempting a download. Editing Service: The subscriber can edit and make changes to anything posted by the User 24/ 7; however, some changes to the current active services, facilities, and material have to be approved by BIZWORLDUSA (BWU). BIZWORLDUSA (BWU) reserve a right to cancel, edit or terminate unapproved changes without further notice and it is SOLELY your responsibility to obtain approval for such changes from BIZWORLDUSA (BWU). Management and Owner Ship Policy: BIZWORLDUSA (BWU) hires / retains various professionals and entities as managers, employees, consultants and advisors, and none of these people are the owners or promoters of the website. BIZWORLDUSA (BWU) MAY disclose names of the owners and promoters of the website if we receive a request for such information, but BIZWORLDUSA (BWU) reserves a right to release or not the ownership information. If you DO NOT with this policy, please do not use the website. Careers Opportunities: BIZWORLDUSA’S (BWU) website contains a careers page and, if interested, you can submit a resume, but we cannot guaranty that each submitted resume will be reviewed and/\or result in a job offer. Active Service: You can cancel your current subscriptions by logging in to your account, entering the manage account section, and opting to terminate your service(s); alternatively you can email us 7 days before the due date for renewal with a request to stop service. If we receive the e-mail within 7 days of the renewal date, you will be responsible for the payment of the fees for an additional period. All fees are Non Refundable and Non Transferable. There are no pro-rated refunds available. Content / Legal Policy: BIZWORLDUSA (BWU) posts free tips and such tips may vary from item to item and from location to location. Our legal and other experts prepare such content and it may not be accurate or applicable to Users in all locations. ALL OF THE POSTED CONTENTS ARE JUST OUR EXPERTS IDEAS / OPINIONS ONLY. It is SOLELY YOUR duty and responsibility to consult a professional attorney, accountant etc. before relying on such tips. BIZWORLDUSA (BWU) IS NOT RESPONSIBLE FOR ANY KIND OF LOSS INCURRED BY USE OF SUCH CONTENT. IT IS SOLELY YOUR RESPONSIBILITY TO VERIFY SUCH CONTENT WITH A RESPECTED PROFESSIONAL BEFORE RELYING ON THE TIPS. Documentation / Legal Policy: BIZWORLDUSA (BWU) provides some standard / model documentation for various issues. Such documents are prepared by our legal and business experts. Those may not be correct, accurate, sufficient or applicable to your needs. ALL THE MODEL DOCUMENTS ARE PREPARED FOR EXAMPLE PURPOSES ONLY. It is SOLELY YOUR duty and responsibility to consult with a respected attorney, accountant etc. before relying on such models. BIZWORLDUSA (BWU) IS NOT RESPONSIBLE FOR ANY KIND OF LOSS INCURRED BY USE OF SUCH DOCUMENTS. IT IS SOLELY YOUR RESPONSIBILITY TO VERIFY AND GET CONSENT FROM A RESPECTED PROFESSIONAL BEFORE USING THE MODELS. If BIZWORLDUSA (BWU) has NOT MADE available any additional policies, other than the above mentioned services, policies, terms and conditions, the User MUST send an email request to info@Bizworldusa.com with their questions, concerns and any other issues about the usage of the website before using the website. BIZWORLDUSA (BWU) usually releases such requested information in a reasonable time, but BIZWORLDUSA (BWU) does not GUARANTY the release of any requested information either partially or fully. BIZWORLDUSA (BWU) RESERVES A RIGHT TO RELEASE OR NOT TO RELEASE ANY REQUESTED INFORMATION and/or to reply to any such request made by any User from any location. ANY RELEASE OF INFORMATION IS SOLELY AT THE DISCRETION of BIZWORLDUSA (BWU). If User does not agree with this policy, please do not use the website. IF THE USER SUFFERS ANY KIND OF LOSS OR DAMAGES FROM THIRD PARTY OFFERINGS BEFORE RECEIVING APPROVAL FROM BIZWORLDUSA (BWU), IT IS SOLELY THE USER’S RESPONSIBILITY FOR SUCH DAMAGES WITHOUT ANY LIMITATIONS. International User: BIZWORLDUSA (BWU) is registered in the State of California, and we follow California rules and regulations only. This site is hosted and operated in the United States of America. Those who access or use the site from the other jurisdictions must do their own due diligence before using the website. Recognizing the global nature of the Internet, you agree to comply with all applicable Laws, Statutes, regulations, rules and codes regarding online conduct and acceptable use of relevant channels. Miscellaneous: The Terms and Conditions and the relation between YOU and US shall be governed by the Laws of the State of California, United States Of America, without regard to conflict of law provisions. You agree and acknowledge that any cause of action or actions that may arise under the TERMS and CONDITIONS shall be commenced and be heard in the Superior Court of Alameda County, State of California, USA. Our failure to exercise or use or enforce the rights or provisions of the terms and conditions shall NOT constitute a waiver of such right or provision. YOU ACKNOWLEDGE, AGREE AND APPROVE THAT YOU ASSUME THE FULL RESPONSIBILITY AND RISKS ARISING FROM YOUR USE OF THIS WEBSITE, AND YOU ALSO ACKNOWLEDGE, AGREE AND APPROVE THAT ANY INFORMATION YOU SEND OR RECEIVE DURING YOUR USE OF THIS WEBSITE MAY NOT BE SECURE AND MAY BE INTERCEPTED BY UNAUTHORIZED PARTIES. IN NO EVENT, INCLUDING, BUT NOT LIMITED TO NEGLIGENCE, SHALL BIZWORLDUSA LLC AND ANY OF THEIR DIRECTORS, MEMBERS, EMPLOYEES, ASSOCIATES, PARTNERS, AGENTS, DEALERS, OR SERVICE PROVIDERS BE LIABLE FOR ANY DIRECT, INDIRECT, SPECIAL, ACCIDENTAL, OCCASIONAL, RECURRENT, INCIDENTAL, EXEMPLARY, CONSEQUENTIAL, OR PUNITIVE DAMAGES ARISING DIRECTLY OR INDIRECTLY FROM YOUR USE OF OR FROM THE INABILITY TO USE THIS WEBSITE / WEBSITES OR ANY OTHER WEBSITE YOU ACCESS THROUGH THE LINK FROM THIS WEBSITE, OR ANY ACTION WE TAKE OR FAIL TO TAKE AS RESULT OF COMMUNICATION YOU SEND TO US. IN NO EVENT SHALL THE PROTECTED ENTITIES BE LIABLE FOR CONNECTIONS MADE WITH ANY USERS OF THIS WEBSITE OR CONNECTIONS MADE WITH ANY OTHER WEBSITES ACCESSED THROUGH THIS WEBSITE. IN NO EVENT SHALL THE TOTAL AGGREGATE LIABILITY OF THE PROTECTED ENTITIES FOR ANY DAMAGES OR LOSSES, RESULTING FROM USE OF THIS SITE OR FOR ANY INFORMATION PRODUCTS, OR SERVICES, ADVERTISED IN OR OBTAINED THROUGH THE SITE, REMOVAL OR DELETION OF ANY MATERIAL SUBMITTED OR POSTED ON THIS WEBSITE AND ITS ASSOCIATED WEBSITES, OR OTHERWISE ARISING OUT THE USE OF THIS WEBSITE, WHETHER BASED ON CONTRACT, TORT, STRICT LIABILITY, OR THE TERMS AND CONDITIONS OR YOUR USE OF THE WEBSITE / WEBSITES EXCEED, IN THE AGGREGATE, THE AMOUNT, IF ANY, PAID BY YOU TO THE BIZWORLDUSA. THIS LIMITATION OF LIABILITY APPLIES WITHOUT LIMITATION TO ANY DAMAGES OR INJURY THAT ARISES FROM ANY FAILURE OF PERFORMANCE, ERROR, OMISSION, INTERRUPTION, DELETION, DEFECTS, DELAY IN OPERATION OR TRANSMISSION OR EXCHANGE OR RECEIPT, FILE CORRUPTION, COMPUTER VIRUS, COMMUNICATION FAILURE, NETWORK OR SYSTEM OUTAGES, FAILURE TO FILL THE COMMITMENTS AND PROMISES, YOUR LOSS OF PROFITS OR THEFT, DESTRUCTION, UNAUTHORIZED ACCESS TO, ALTERATION OF, LOSS OR USE OF ANY RECORD OR DATA, AND ANY OTHER TANGIBLE OR INTANGIBLE LOSS. YOU SPECIFICALLY ACKNOWLEDGE, AGREE AND APPROVE THAT NEITHER BIZWORLDUSA LLC NOR ITS SUPPLIERS, ASSOCIATES, PARTNERS SHALL BE LIABLE FOR ANY DEFAMATORY, OFFENSIVE OR ILLEGAL CONDUCT OF ANY USER OF THIS SITE. BY USING THIS WEBSITE YOU AGREE TO INDEMNIFY, DEFEND AND HOLD HARMLESS BIZWORLDUSA LLC AND THEIR ASSOCIATES, PARTNERS, OFFICERS, DIRECTORS, EMPLOYEES, CONTRACTORS, AGENTS, LICENSEES, DEALERS, SERVICE PROVIDERS, SUBCONTRACTORS AND SUPPLIERS FROM AND AGAINST ANY AND ALL LOSSES, LIABILITIES, EXPENSES, DAMAGES AND COSTS, INCLUDING REASONABLE ATTORNEYS' FEES AND COURT COSTS, ARISING OR RESULTING FROM YOUR VIOLATION OF THE TERMS AND CONDITIONS OF USE OF THIS WEB SITE & ITS ASSOCIATE SITES. IF YOU CAUSE A TECHNICAL DISRUPTION OF THE SITE OR OF THE SYSTEMS TRANSMITTING THE SITE TO YOU OR OTHERS, YOU AGREE TO BE RESPONSIBLE FOR ANY AND ALL LOSSES, LIABILITIES, EXPENSES, DAMAGES AND COSTS, INCLUDING REASONABLE ATTORNEYS' FEES AND COURT COSTS, ARISING OR RESULTING FROM THAT DISRUPTION. BIZWORLDUSA LLC AND THEIR ASSOCIATES RESERVE THE RIGHT, AT THEIR OWN EXPENSE, TO ASSUME EXCLUSIVE DEFENSE AND CONTROL OF ANY MATTER OTHERWISE SUBJECT TO INDEMNIFICATION BY YOU AND, IN SUCH CASE, YOU AGREE TO COOPERATE WITH BIZWORLDUSA LLC AND THEIR ASSOCIATES IN THE DEFENSE OF SUCH MATTER. USE OF THIS SITE IS AT YOUR SOLE RISK AND WE RESERVE THE RIGHT TO RESTRICT OR TERMINATE YOUR ACCESS TO THIS SITE OR ANY FEATURE OR ANY FUNCTIONALITY AT ANY TIME. BIZWORLDUSA LLC AND THEIR ASSOCIATES SUCH AS OTHER WEB SITES, BUSINESSES, LICENSEES, SUPPLIERS, VENDORS, PARENTS, HOLDING AND RELATED COMPANIES, AFFILIATES, ASSOCIATES, OFFICERS, AGENTS AND EMPLOYEES MAKE NO GUARANTY AND/OR WARRANTY THAT THE WEBSITES I.E BIZWORLDUSA LLC AND THEIR ASSOCIATED WEBSITES INCLUDING WITHOUT LIMITATION, ALL THE SERVICES, CONTENTS, MATERIALS, FUNCTIONS ON AN “AS IS” “AVAILABLE” BASIS WITHOUT WARRANTY OF ANY KIND OR EITHER EXPRESS OR IMPLIED, INCLUDING, WITHOUT LIMITATION, ANY WARRANTY FOR THE INFORMATION, DATA, MATERIAL, CONTENT, SERVICES, UPTIME, REAL TIME OR THAT UNINTERRUPTED OR ERROR FREE ACCESS SERVICES WILL BE ACCESSIBLE AT ANY TIME OR AT ALL THE TIMES VIA THE CHANNEL SELECTED BY YOU, ANY GUARANTIES AND WARRANTIES CONCERNING THE AVAILABILITY , THOROUGHNESS, ACCURACY, USEFULNESS, MERCHANTABILITY, CONTINUITY, SAFETY, CLEARNESS, CURABILITY, OR MATERIAL OR TEXT OR CONTENT OF INFORMATION, AND ANY WARRANTIES OF THE TITLE, MERCHANTABILITY, AND FITNESS FOR A PARTICULAR PURPOSE AND ANY AND WARRANTIES THAT THE MATERIALS ON THE SITE ARE NOT INFRINGING, AS WELL AS WARRANTIES IMPLIED FROM A COURSE OF PERFORMANCES OR COURSE OF DEALING, AND WE HERE BY DISCLAIM ANY AND ALL SUCH WARRANTIES , EXPRESS AND IMPLIED. WE DO NOT WARRANT THAT THE WEB SITE OR WEBSITES / THE SERVICES / PRODUCTS / CONTENTS EITHER BY TEXT OR AUDIO OR VIDEOS, GRAPHICS, PICTURES, FUNCTIONS OR MATERIAL PROVIDED THROUGH THE WEB SITE WILL BE SECURE, UNINTERRUPTED, ERROR FREE, TIMELY OR THAT DEFECTS WILL BE CORRECTED. WE MAKE NO GUARANTY AND WARRANTY THAT THE WEB SITE / WEBSITES OR THE PROVIDER OR OFFER OF THE SERVICES, PRODUCTS WILL MEET THE USER’S ON INTENDED USER’S REQUIREMENTS. NO ADVICE OR INFORMATION WHETHER ORAL OR WRITTEN OBTAINED BY YOU FROM US (BIZWORLDUSA LLC AND THEIR ASSOCIATES) OR THROUGH OR FROM THE SITE SHALL CREATE ANY WARRANTY OF ANY KIND. BIZWORLDUSA LLC AND ITS ASSOCIATES TAKES NO RESPONSIBILITY, AND SHALL NOT BE LIABLE FOR, ANY DAMAGES TO, OR VIRUSES THAT MAY INFECT, YOUR EQUIPMENT ON ACCOUNT OF YOUR ACCESS TO, USE OF, OR BROWSING IN THE WEB SITE OR YOUR DOWNLOADING OF ANY MATERIALS, DATA, TEXT, IMAGES, VIDEO CONTENT, OR AUDIO CONTENT FROM THE WEBSITE. IF YOU ARE DISSATISFIED WITH THE WEBSITE, YOUR SOLE REMEDY IS TO DISCONTINUE USING THE WEBSITE. BIZWORLDUSA LLC AND THEIR ASSOCIATES MAKE NO WARRANTY OR REPRESENTATION REGARDING THE COMPLETENESS, CORRECTNESS, ACCURACY, ADEQUACY, USEFULNESS, TIMELINESS OR REALITY. WE MAY CHECK THE INFORMATION SUCH AS TEXT, GRAPHIC, AUDIO, VIDEO OR ANY OTHER MATERIAL ETC. POSTED ON THE BIZWORLDUSA WEBSITE AND THEIR ASSOCIATES WEBSITES FOR THE CORRECTNESS. HOWEVER WE RESERVE RIGHT TO CHANGE OR MAKE CORRECTIONS TO ANY OF THE INFORMATION PROVIDED ON THE WEB SITE / WEB SITES AT ANY TIME AND WITHOUT PRIOR NOTICE OR WARNING. BIZWORLDUSA LLC AND THEIR ASSOCIATES ARE NEITHER RESPONSIBLE FOR OR ENDORSE THE ACCURACY, RELIABILITY, TRUTHFULNESS, CORRECTNESS, GOOD FAITHFULNESS OF ANY OPINION, STATEMENTS, COMMENTS, SUGGESTIONS, AND ADVICE ON THE WEBSITE / WEBSITES, AND ARE NOT RESPONSIBLE FOR ANY KIND OF DEFAMATORY, ILLEGAL, OFFENSIVE, INDECENT, INFRINGEMENT, VULGARITY, OBSCENITY, EXPLOITATION, THREATENING, WARNING, INSULTING, UNLAWFUL OR UNETHICAL POSTING MADE BY THIRD PARTIES OR ADVERTISERS OR OFFERERS. IT IS SOLELY YOUR RESPONSIBILITY TO DO YOUR OWN DUE DILIGENCE INCLUDING USING PROFESSIONAL CONSULTATIONS AND EVALUATIONS OF THE ACCURACY, COMPLETENESS, GOOD FAITHFULNESS, USEFULNESS OF ALL INFORMATION WHETHER TEXT, GRAPHICS, AUDIO, VIDEO, ETC. THAT MAY APPEAR ON THE WEB SITE / WEBSITES OF BIZWORLDUSA LLC AND THEIR ASSOCIATES. BIZWORLDUSA LLC AND THEIR ASSOCIATES MAY POST SOME FREE INFORMATION FOR THE USERS OR GENERAL PUBLIC AND THAT INFORMATION MAY BE A TEXT, GRAPHIC, MATERIAL, PICTURES, AUDIO, OR VIDEO ETC. THAT WILL BE AVAILABLE ON OUR WEB SITES AND SUCH POSTED MATERIAL MAY INCLUDE MATERIAL FROM OTHER SOURCES SUCH AS OTHER OWNED WEB SITES, BUSINESSES, LICENSURES, SUPPLIERS, VENDORS, HOLDING AND RELATED COMPANIES, AFFILIATES, ASSOCIATES, OFFICERS, AGENTS AND EMPLOYEES. BIZWORLDUSA LLC AND THEIR ASSOCIATES MAKE NO WARRANTY OR GUARANTY OF THE CORRECTNESS OF THIS INFORMATION. IT IS SOLELY YOUR RESPONSIBILITY TO DECIDE TO USE SAID INFORMATION AND YOU MAY WANT TO VERIFY SUCH INFORMATION BY CONTACTING THE THIRD PARTY SOURCES. BIZWORLDUSA LLC AND THEIR ASSOCIATES ARE NOT ANY RESPONSIBLE IF YOU INCUR ANY KIND OF LOSS BY USING THIS MATERIAL AND THE USE OF SUCH MATERIAL IS PURELY AT YOUR OWN RISK. BIZWORLDUSA LLC AND THEIR ASSOCIATES MERELY PROVIDE SOME FREE RESOURCES, DIRECTORIES, DISCLOSURES, OPINIONS, MODEL LEGAL CONTRACTS, ARTICLES, EXPERIENCE, ADVICE, VALUATIONS, SUGGESTIONS ETC. THAT WE GATHER / RECEIVE FROM VARIOUS SOURCES THAT WE FEEL MAY BE HELP TO THE USERS. BIZWORLDUSA AND THEIR ASSOCIATED BUSINESSES, LICENSURES, SUPPLIERS, VENDORS, PARENT COMPANIES, HOLDING AND RELATED COMPANIES, AFFILIATES, ASSOCIATES, OFFICERS, AGENTS AND EMPLOYEES MAKE NO WARRANTY OR GUARANTY REGARDING THE CORRECTNESS OF SUCH INFORMATION. YOU ARE NOT OBLIGATED TO USE THIS INFORMATION; HOWEVER IF YOU WANT TO USE SOME OF THIS INFORMATION IT IS SOLELY YOUR RESPONSIBILITY TO VERIFY THE INFORMATION WITH RESPECTED LICENSED PROFESSIONALS BEFORE USE OF SUCH MATERIAL. BIZWORLDUSA LLC AND THEIR ASSOCIATES ARE NOT RESPONSIBLE FOR ANY LOSS INCURRED BY THE USE OF SUCH MATERIAL. USE OF SUCH MATERIAL IS PURELY YOUR OWN RISK.